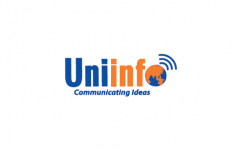 Business description - Uniinfo Telecom Services operates in the telecom industry with players ranging from telecom equipment manufacturers (OEM’s) to telecom operators. The company offers support services and solutions to address the Network Life Cycle requirements of Telecom industry. Over the years, it has successfully implemented various projects. Uniinfo Telecom Services’ portfolio includes Network Survey and Planning, Installation and Commissioning, Network Testing and Optimization, In Building Solutions and WiFi and Managed Services for network maintenance. Its strong technical background enables it to effectively carry out end-to-end services thereby covering the entire Network Roll out map. Uniinfo Telecom Services IPO allotment status is now available on Link Intime's website. Click on this link to get allotment status. I have been allotted 2000 shares, but till now shares are not credited in my account. is this stock for real??? ?